This is my last post about my latest Disney Media Trip. I’ve written about Summer Nightastic, posted a video of Disney’s Main Street Electrical Parade, and the most fun ever, interviewed the Green Army Men from Toy Story 3. As you can see from my blog posts, my weekend was pretty amazing; Disney always makes sure that the media trips are full of magical touches. We eat good on media trips with catered dinners and dessert buffets; the food is delicious, beautifully presented and there’s an open bar. We always love these dinners. But still my family cannot leave Disney World without having a Dole Whip, the best treat at Disney World (and Disneyland too). There’s a debate among Dole Whip fans (there are legions of them out there!) if the treat is best in it’s purest form – just the ice cream – or as a float with pineapple juice. My family votes for the float. 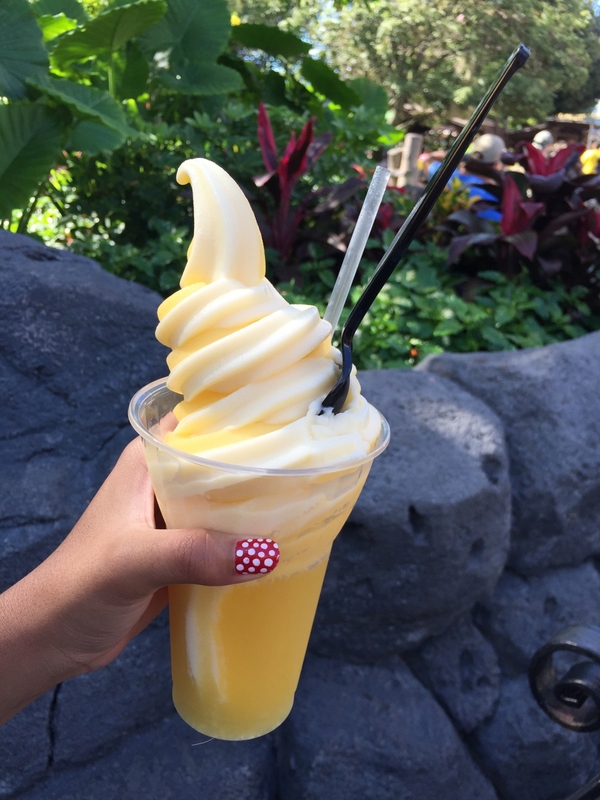 I’m telling you, there is nothing more refreshing on a hot day than a Dole Whip float! Somehow we always seem to get ours right before the Move It! Shake It! Celebrate It! Street Party; we sit on the benches leading out of Adventureland and watch the people move it and shake it. Eating a delicious Dole Whip with my family in one of the most magical places on earth is absolutely pure joy. 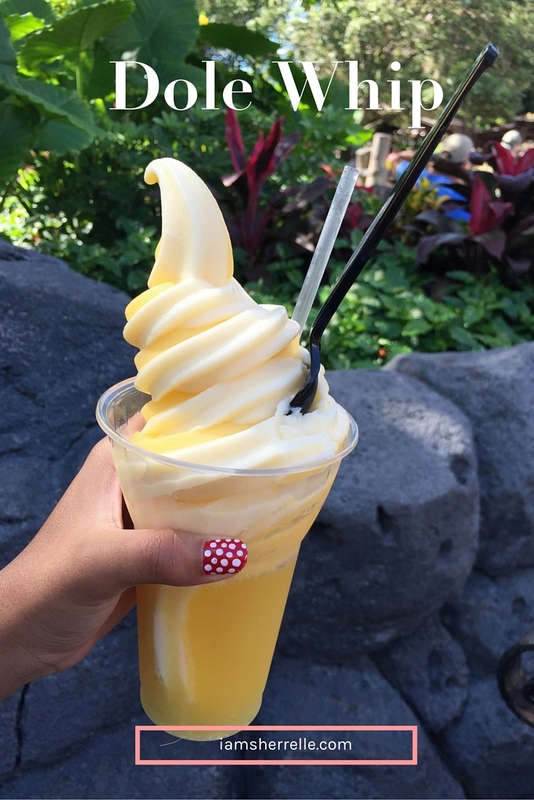 Dole Whip fans, what’s your vote: ice cream only or float? P.S. You may also like these blog posts about Disney World. You and that DOLE whip! LOL! Every time I’m there and see one I think about you. Glad you had a blast! DOLE WHIP!!!! My favorite thing EVER!! I’m pro Dole Whip float too! Okay, here’s the thing…I think Dole Whips are seriously, seriously overrated. I’d take a Goofy’s Candy Co. treat over the DW anyday. Im looking for more healthier choices too, that sounds like a place I need to visit. .-= tami´s last blog ..Ed Hartwell “Chiseled” calendar =-. That looks soo good right about now yum! Me too! Yoforia has pineapple frozen yogurt now and it’s good…but not a Dole Whip. I’ve been to Disney 17 times (and living in Chicago my entire life – that’s quite a roadtrip!) and I had my first Dole Whip during our last trip. Divine! Next time I’m trying the float! Oh yes, please try the float! And 17 times while living in Chicago….whew!…you’ve got me beat!